With over 15 years’ experience, Walker Prestons Solicitors are one of UK’s leading firms in Personal Injury & Immigration. Suffering from an Injury that wasn’t your fault? We have helped thousands of people make claims after suffering an injury or an accident. For more information, get in contact with us today. Applying for a Visa or have an Immigration related issue? Our team of solicitors are experienced and familiar with the new laws in place for Immigration. See how we can help you by simply getting in touch today and speaking to one of our expert solicitors. You could be entitled to a claim! We operate a NO WIN NO FEE policy so you can be sure that whatever you are due is paid to you in full. Get in touch today. Our highly trained Solicitors have vast experience in dealing with every type of personal injury claim: from the all too frequent Road Traffic Accidents and Work Related Injuries, to all manner of Holiday Illness, Medical and Dental Negligence Claims, to Industrial Illnesses such as Asbestosis and Mesothelioma. 97% of our clients are happy with the advice and service offered and received from Walker Prestons Solicitors. We care about ALL our clients by offering personal advice and a tailored services. We have over 15 years of experience helping clients get the justice that they deserve. Our Solicitors will keep you updated and make sure you understand exactly what is happening with your claim. Getting your claim off to a flying start is actually quite easy. 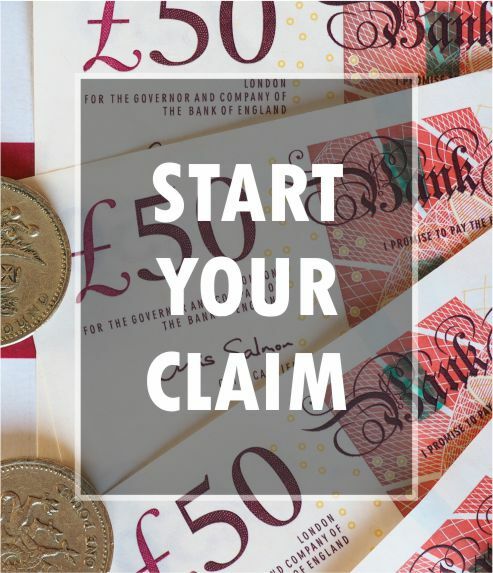 We have a very quick and easy system in place to help get you on the way to making a successful claim. Click on the button below to start the process. Fill in the form on the next page and an expert staff member will get in touch with you as soon as possible and take some information from you. This information is 100% confidential and will only be used to assess your claim. Following this, we will arrange to meet you and launch the claim on your behalf. If you’ve been unfortunate enough to sustain an injury because of another party’s negligence, you may be entitled to make a claim for personal injury. You can contact us on our freephone number where our team of Solicitors are on hand to provide you with free legal advice, without any obligation or commitment. We understand that making a personal injury claim can seem a daunting prospect, especially if it’s on top of any stress, pain or trauma caused by your injury. We also understand that making a claim might seem like too much to deal with after what you may have been through and the thought of making a claim against an employer or any other party might at first seem a bit intimidating. Let us take that stress away! Walker Prestons Solicitors work on a ‘No Win No Fee’ basis, so you have nothing to lose by making a claim with us. We are here for you every step of the way.